A well-designed syllabus is an essential tool for effectively managing a course. It gives students a clear understanding of your expectations and a road map for how the course will be conducted. When done right, a syllabus can prevent a lot of misunderstandings as the semester progresses. As a middle school teacher, I put together a simple syllabus to communicate my plans and expectations to students and their parents. When I followed those years up with four years of college teaching, I had to take things to a new level: “The syllabus is seen as a legal agreement between you and your students,” my department head told me. It is a kind of contract. A promise. In other words, if a student ever wanted to contest their grade in my course, everyone involved in making the decision would refer to my syllabus to see whether I had kept up my end of the bargain. Whatever I wrote there needed to be something I could still stand behind months later. With that in mind, it’s worth it to put some time and effort into your syllabus well before you ever meet your students, and to make it as thorough and detailed as possible. In this post, I will share what I include in my own syllabi. I refined my own model over time, pulling from various sources and modifying things through trial and error every semester. It’s certainly not the only way to write a syllabus, but what I can say with certainty is that I had very few issues every semester in terms of students not understanding what was expected of them. No debates over how I calculated grades. No misunderstandings about when assignments were due. And even those few times, I was able to point those students to the syllabus, which they just didn’t happen to read very carefully. So if you’re looking for a syllabus writing model, this one will get the job done. By the way, if you’re not too handy with page layout and would like a ready-made syllabus template, scroll to the bottom of this post. It is essential that you get your syllabus approved by your administration prior to giving it to students, especially if this is your first time teaching in your current school. Doing this will ensure that your syllabus includes everything your institution requires, that it is in line with school policy, and that your administrator is aware of how you plan to handle certain situations. At least a week before you share it with students, send your administrator a copy for his or her approval. Do this electronically so you have a record of the transaction. If you don’t hear back before it’s time to give it to students, send a follow-up email to get the approval. Although this all may sound like a bit much, and at the beginning of a school term, it may be hard to imagine any kind of trouble, there may come a time when a student issues a complaint about you; if your actions are in line with your syllabus, and you have it on record that your administrator has approved that syllabus, you can save yourself a lot of problems. This list is for college, high school, or middle school syllabi. Items specific to college, but not necessarily applicable at the K-12 levels, are marked with an asterisk. Prerequisites/Corequisites: Any courses or other requirements that must be completed before taking this course. Corequisites are courses that must be taken at the same time as your course. Objectives: Describe what the student should understand or be able to do as a result of taking your course. Required Texts and Resources: List all required textbooks, other books, online resources and subscriptions, or other materials students must have to take the course. Attendance Policy: Be very specific about what constitutes an excused absence, what constitutes a “tardy” (be sure to consider early departures as well…I had some students who regularly had to leave class early), and how these will impact student grades, if applicable. Make sure your policy is in line with your school’s policy. Communication Protocols: Specify how often and through what channels students should be accessing course information, looking for updates and announcements, and contacting you. Because we have so many different means of communicating (online bulletin and discussion boards, social media, email and texting), it’s important to tell students exactly which channels they should be on for your course and how often you expect them to check those channels. For example, if you plan to post new information on a learning management system every Sunday night, tell students they should be checking the platform every Sunday night. Electronic Device Policy: Explain your policy on the use of cell phones, laptops, and other electronic devices in class, including any information about whether exceptions are made for students with accommodations. Food & Drink Policy: Are food and drinks permitted in class? Explain your policy here. Accommodations Statement: If you are teaching at the college level, find out what you are required to include on your syllabus about accommodating individuals with disabilities. 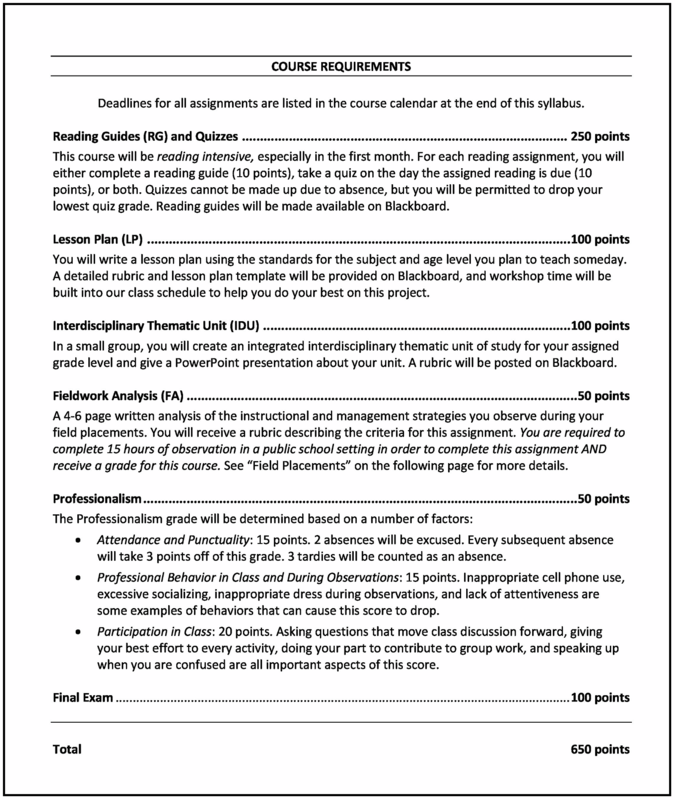 Course Requirements/Assignment List: Describe how students will be graded in the course. What assignments will you give? Will there be tests and quizzes? If each one is worth a certain number of points, specify that here. I found that rather than try to weigh assignments or make them a certain percentage of the grade, it was simplest to just assign points to every assignment, including tests, then calculate student grades as a percentage of the total points possible. Academic Policies and Procedures: Explain how assignments should be submitted, along with your policy on late work, resubmissions, and plagiarism/academic integrity. Course Calendar: This probably requires the most work up front from you, but if you put the time in now to mapping out daily or weekly activities and due dates, you’ll be more likely to stay on track this term. If you aren’t sure about some activities, it’s okay to put TBA in those spaces; just having the spaces set up will help you and your students plan for the semester. It’s also a smart idea to include some kind of “subject to change” language about specific due dates and activities; this will give you some flexibility to adjust the schedule as needed. This sample shows daily activities for a college course; if you are creating a calendar for middle or high school, it might make more sense to map your plans by the week instead of by the day. Simply handing the syllabus to students is no guarantee that they will read it. And delivering it electronically probably means even fewer eyes will actually make it to the last page. 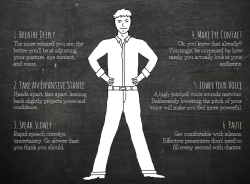 Students really should read your whole syllabus, so how can you make sure this happens? Give them time: In my college classes, I would set aside about 5 minutes of the first class to allow students to read my syllabus. Just providing this time in class, rather than sending it home to be read, can significantly boost the number of students who actually read the thing. I asked students to read it with a highlighter and a pen, and to note any questions they had, which I would answer after the silent period was done. I would then give a brief lecture on the syllabus, covering some of the main points and explaining things that might be confusing to students. Quiz them: Some instructors create a brief quiz over the syllabus, to make sure students read it carefully. I never did this, but not because I was opposed to it. I just preferred the next option. Play a Game: Once students have read the syllabus, you could do some sort of game or activity to “test” their knowledge, like Crumple & Shoot or a scavenger hunt. Another option would be to have students teach sections of the syllabus to each other in a Jigsaw activity. Get Signatures: It’s a good idea to have students (or their parents, if you’re teaching in a K-12 setting) sign a paper attesting that they have read and understood the syllabus. Although this doesn’t guarantee that they read the syllabus, it may provide you with some legal protection should a student or parent appeal something later on. If you want to get your syllabus done quickly, my Syllabus Template will help you knock it out in no time. It includes an editable Microsoft Word template using the same style shown in the above screenshots, my own 6-page sample syllabus that can help you envision and craft your finished product, and a Syllabus Acceptance Form you can use to collect student signatures acknowledging receipt. Some great tips/ideas here! Another great way to ensure students understand the most important parts of your syllabus is to create an infographic of it. I always review my syllabus using the infographic (as opposed to going directly from the syllabus) after the 5 minute silent period during which students review the syllabus on their own in class. Because the infographic is colorful/creative and because I am zooming in and out on my iPad, it is more likely to keep students’ attention and really stick with my visual learners and struggling readers. That’s a great idea, Izabella! Any suggestions for free/ low cost infographic programs, anyone? I use Venngage to make infographics. The free version has plenty to work with. Good luck! I use Canva. It has both free and pay features, but the free features are more than enough. I’m working on my infographic syllabus as we speak (type)! I wanted to do something different than the typical 4 page white paper teachers normally hand out on the first day of school. Izabella, do you have a favorite infographic app or site? I’ve used Canva and am also trying Piktochart and Vengage. It’s a little slow going but I’m happy to try this! Great information! Thanks for sharing! Can you explain the reading guides that you have students create? Thanks! Maybe my son is unique, but I don’t think so. During 5th and 6th grade he transitioned from a weekly/daily take home package that we helped him with, to the expectation that he would write down daily assignments for each subject, and be otherwise organized in a way that allowed us to help him effectively. I’m glad to see you bring attention to the SYLLABUS. Most college students rely on it to organize and prioritize their efforts. If it is so useful to mature college students, I have to believe it is critical to far less mature and organized middle/high school kids, and the parent who struggle to help them. Everything you mention make sense, but by far the most valuable section you mention for us, would be the COURSE CALENDAR. While I recognize this takes the most effort, I would argue there’s no better way (aside from weekly meetings) to have parents and students align with teacher expectations. The best syllabus communicates, in advance, what will be done each week/month in class. This allows not only students and parents to be organized and keep up, but even plan ahead. 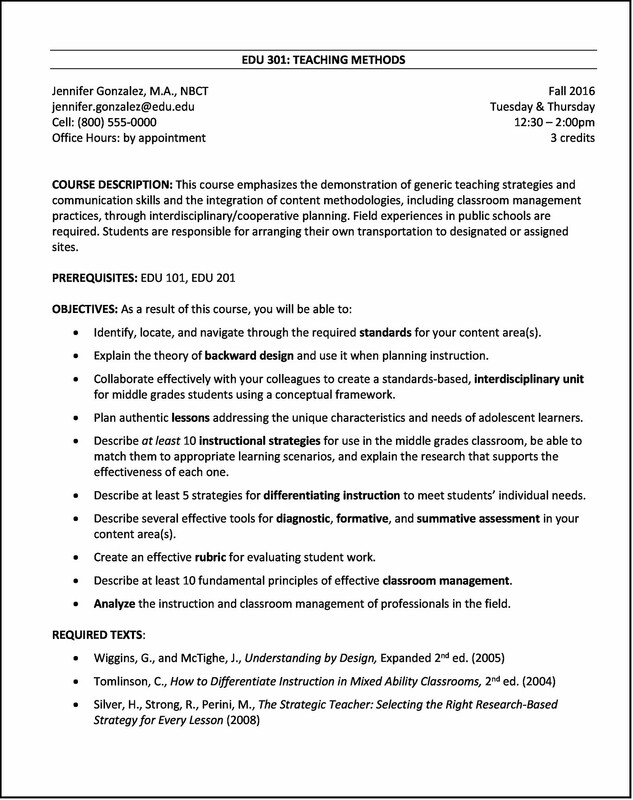 Since middle school content is often driven by district/common core requirements why not have the district (not the teachers) generate a generic syllabus for each school year and subject, that teachers can tailor. Why not make it an online syllabus that is both impossible to lose and that can be easily updated? I don’t want to burden teachers, but as an experienced project engineer the best way to meet project, or school year goals, is to constantly have the plan in front of your team: students, parents and support staff. If you expect success without a plan, and if you don’t expect the plan to change and evolve, you have been around very long. Let’s burden not our teachers, but their districts to generate (online) syllabus templates, teachers can post as is, tailor or update as needed. How awesome would it be, and how much better would it be than looking at report cards or even online portals that report test and HW scores (after the fact), for students and parents to have a syllabus that lays out, in advance a detailed plan for what happens during the week, month or year. It doesn’t even have to be perfect. Anything is better than nothing. Every update would be golden and so appreciated. 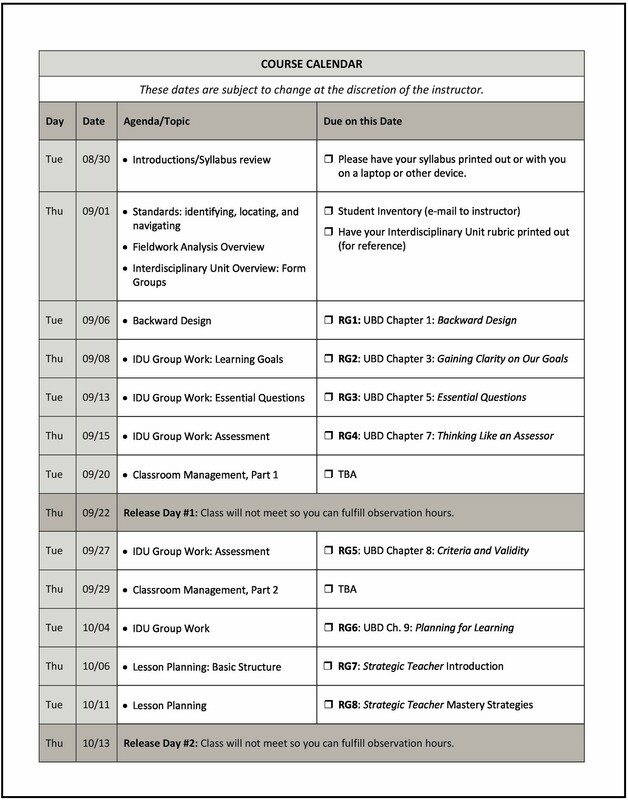 I’m not a teacher, principal or school district official, but if I were, a detailed syllabus (process) would be high on my priority list for getting my entire team: student, parents, teachers, support staff aligned every day, every week, every month on classroom goals. One of my son’s teachers this year is using Google Classroom extensively. While not quite the SYLLABUS I’d like to see, this is a great step in the right direction. It shows future assignments in detail, and allows a parent to subscribe to updates. It links “calendar” format. If this Calendar could be formatted and maintained in a chronological list format, showing past and future assignments, it would begin to replicate the concise and traditional SYLLABUS format that would be most helpful. Our school districts “parent portal” continues to focus on past performance. When we can merge future assignments with past grades into a concise electronic syllabus format then we will have a powerful tool for student, teachers and parent to be aware, aligned and focused on future success. In my experience teaching high school and English 101 at the local community college, teachers need to take time in class reviewing the syllabus. Many high school students won’t take time to read it at home. To make review of it more interesting I ask my students to work cooperatively to “chunk” the syllabus and make posters displaying the most important information. This activity has worked really well over the past few years! I love this. I actually already do all of this, including the calendar, which I refer to as activities & assignments section. But your design is much cleaner than mine. I think I may take e to use your template! But I’ll have to stick a quote or meme or two in. ???? Thank you for your thread, it definitely facilitated the process of developing a class syllabus for the upcoming school year. This is excellent! I will be teaching my first college level course this fall and your blog really helped me write my syllabus. I loved many things I found (and purchased) from your TPT store! Thanks so much! Rather than games, have them rely kn the syllabus. Directing them to the calendar to write content tested where it lists testing dates, highlighting content as it is covered, answer homework questions that return them to the syllabus content, etc.